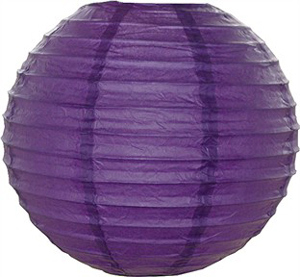 "Purple Round Chinese Paper Lantern"
This is a tradtional hanging Chinese paper lantern. We have this lantern in 12 and 16 inch sizes. It has even bamboo ribbing. The color is dark purple.This looks very nice when lit.